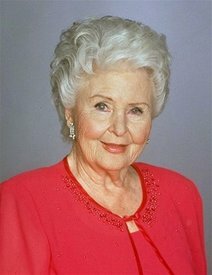 Frances Reid, who played matriarch Alice Horton on “Days of Our Lives” for four decades, has died Wednesday in Los Angeles at age 95. She was among the original cast of the daytime soap opera, which premiered in 1965. Reid starred opposite Macdonald Carey, who played her husband until his death in 1994. Reid made appearances on episodic TV and other soaps including “As the World Turns.” In the 1950s, she performed on anthologies such as “Studio One” and “Philco Television Playhouse” during what is recalled as TV’s Golden Age. She received the Daytime Emmys’ Lifetime Achievement Award in 2004. 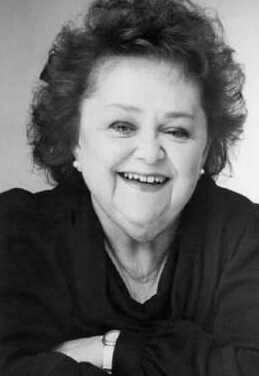 Zelda Rubinstein, the diminutive character actress with the childlike voice who was best known as the psychic called in to rid a suburban home of demonic forces in the 1982 horror movie “Poltergeist,” died Wednesday, January 27th. She was 76. Rubinstein, who also appeared as the mother figure in a high-profile mid-1980s public awareness campaign in Los Angeles aimed at stopping the spread of AIDS, died of natural causes at Barlow Respiratory Hospital in Los Angeles, said Eric Stevens, her agent. This entry was posted on February 4, 2010 at 11:54 pm and is filed under Breaking News!. You can follow any responses to this entry through the RSS 2.0 feed. You can leave a response, or trackback from your own site.